488 Paisley Road, Glasgow. Tel: 07988 480458. 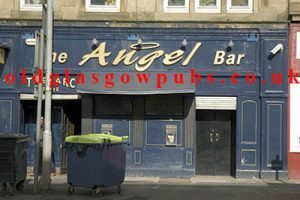 This popular Kinning Park local is now called the Angel. There’s been a pub on this site since 1879. Once owned by John Waterson of Burns Howff, West Regent Street. John Waterson with the leaders of the Bards and Sabres. 1966. The most swinging pub in Scotland, that’s a title which can well describe the Burns Cottage in Glasgow. For in addition to packing ’em in with its musical evenings the pub’s resident group, called the Bards, have beaten a host of other top pub entertainers from all over Scotland in numerous challenge contests. The latest challenge to the Glasgow group came from the Sabres from Grangemouth. 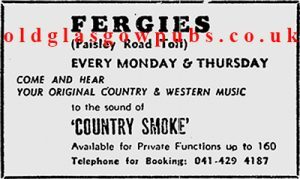 A meeting was arranged last weekend at the “Cottage” in Paisley Road and proved such an attraction that the doors had to be closed about two hours after opening time. One again the Bards emerged winners and immediately threw out another challenge to other pub entertainers. In addition to fighting off challengers at the “Cottage,” the Bards have travelled to various towns in Scotland including Dundee where they met the Couriers at the Craigtay Hotel. 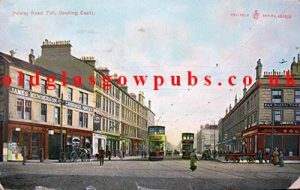 The Bards were not without support at this contest as Mr Waterson organised six couches to transport about 250 of his regulars to the Craigtay. As a result to the various challenges contest over £190 had been raised for charity. This is the amount of money which had been put forward by Mr Waterson and Challenging publicans. When the Bards win both wagers go to charity. Mr Waterson stated “I believe pub entertainment is one way of meeting the challenge of the clubs. To read more on the history of this old pub, check back soon for our second book. 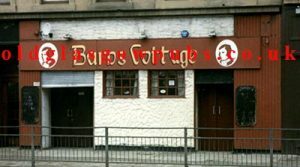 A few years back one of the most popular musical spots in Glasgow was the Burns Cottage at Paisley Road Toll. But time and tastes change. The man who now owns it, Edward Brunton, is determined to bring it back to its former glory by making it one of the most swinging spots in town. Edward started laying the foundation of his fortune as a schoolboy tattie howker and now runs a few Rolls-Royces. Within the past few weeks he has bought over several pubs in the city, and smiles quietly when you ask him if he’s working on his second million. He can afford to smile; he’s practically at the top of the ladder – and he’s only 24. Last night he had “Speakers Corner” on stage at the Burns’ Cottage, and the boys will be playing there again tonight and tomorrow. 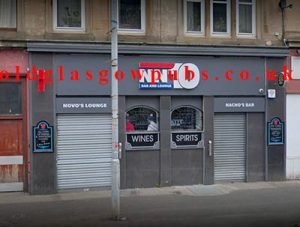 I’m looking forward with interest to see how things develop because in the licensing business in Glasgow, Edward is certainly one of tomorrow’s men. 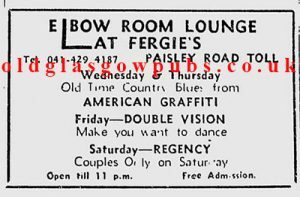 The Elbow Room was the lounge at Fergie’s Bar, this advert dates from 1977. Nova’s Lounge and Nacho’s Bar.